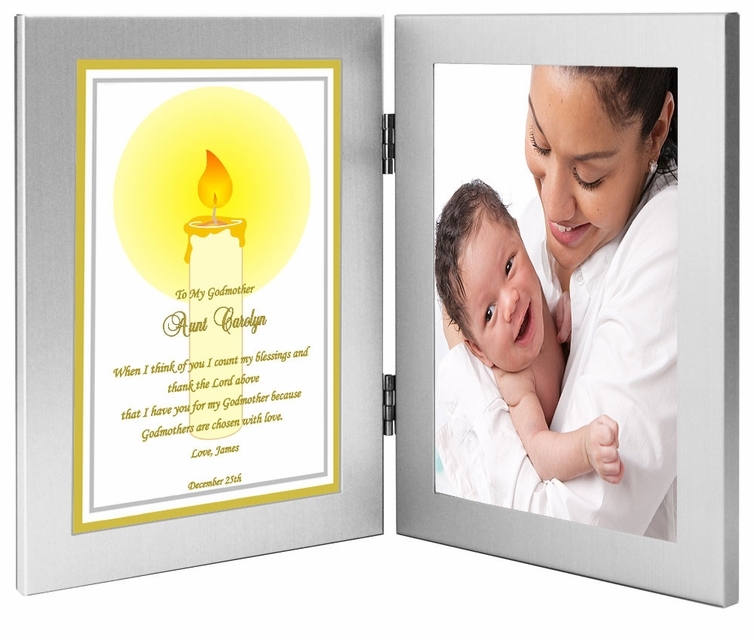 Gifts for Godmothers are hard to find but this keepsake is easy to customize and order. Personalize with names, optional date and photo. 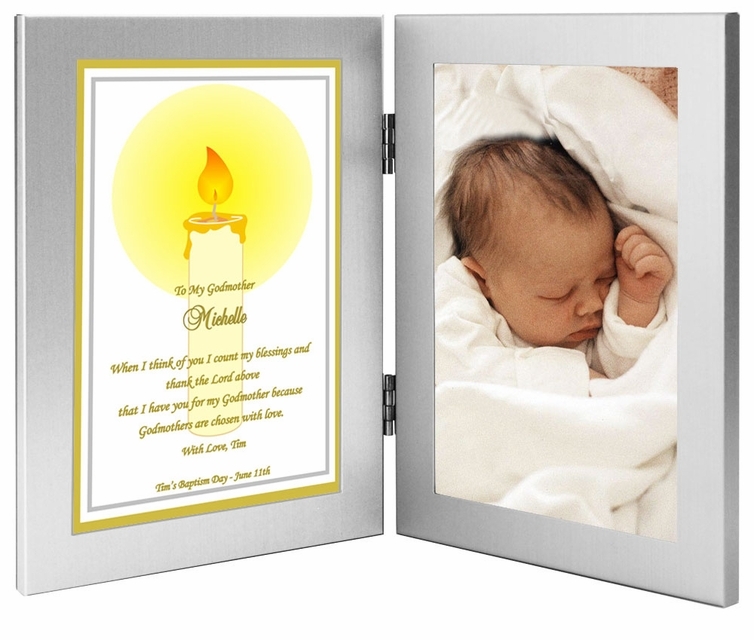 The 4" x 6" double silver metallic frame with candle design makes a lovely baptism, Christening or birthday gift for the Godmother. Wonderful Godmother Gift! This lovely personalized poem lets your child's Godmother know that she has been chosen with love to play an important role in her Godchild's life. 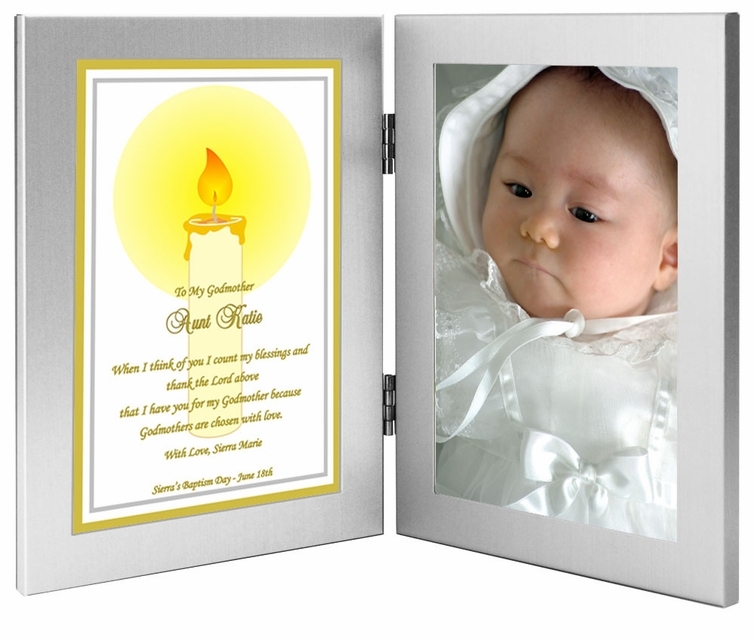 A great way to commemorate your child's Baptism Day for his or her Godmother. gave this gift to my son's Godparents at the party. Everyone asked where I got. Will use this company again.